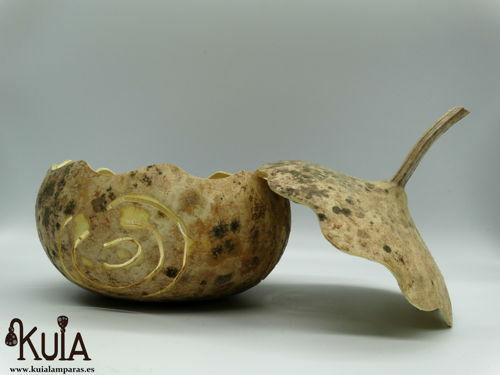 Handmade decorative bowl Spiral, a unique and original design. 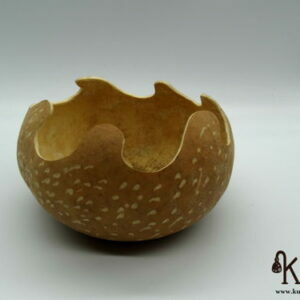 Its designed bowl. 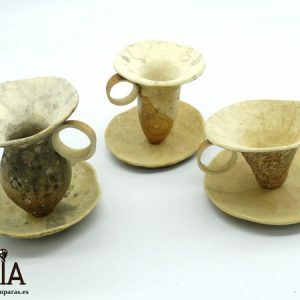 Is adaptable to use as a bowl or as a candle holder. 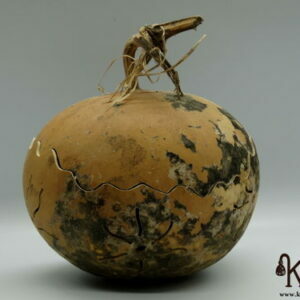 It has a lid, and the stem of the gourd serves as a handle. 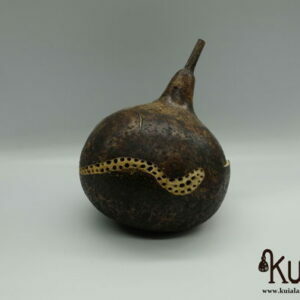 This gourd, has been carved with spiral, elaborated by hand, of artisan form and with a design thought to decorate the walls when the light of the candle generates the drawings of the spirals. 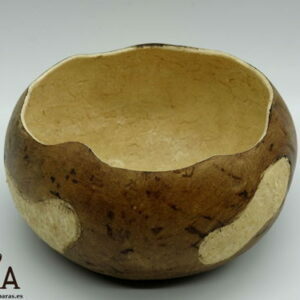 The bowl, with the natural color of the pumpkin, has not been treated or painted to maintain the natural state of the pumpkin. 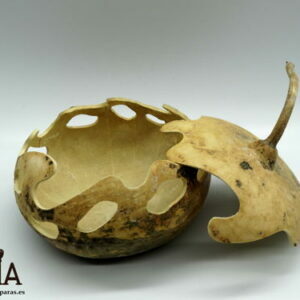 Being able to recognize it as an ecological and natural bowl, where 100% of the material is gourd, grown by ourselves in an ecological way.